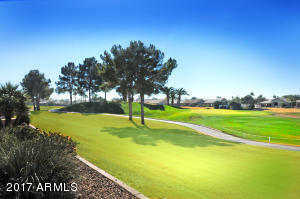 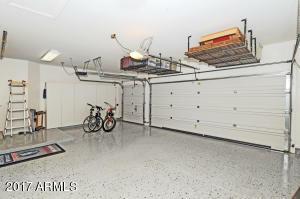 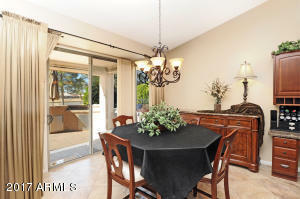 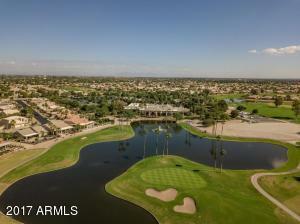 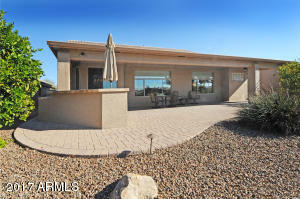 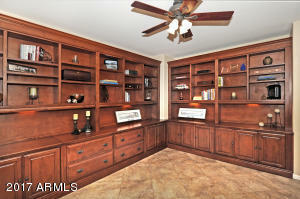 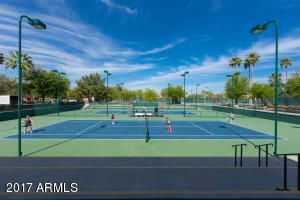 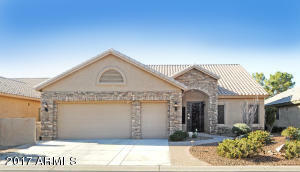 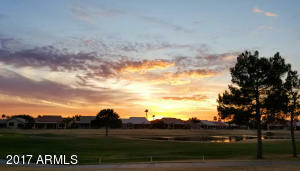 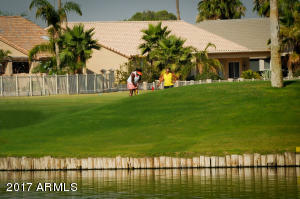 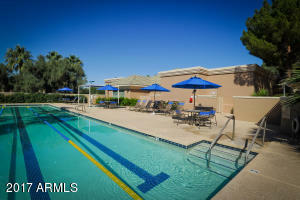 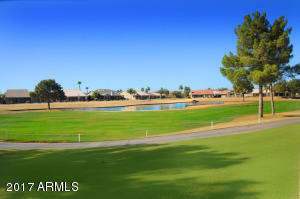 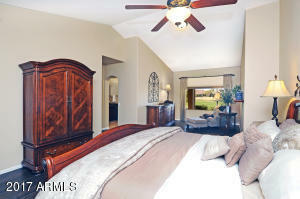 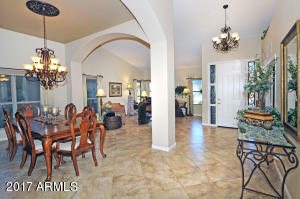 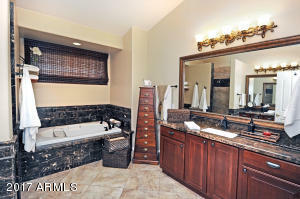 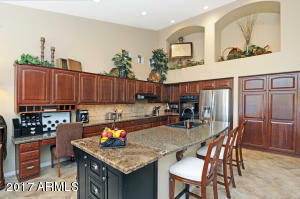 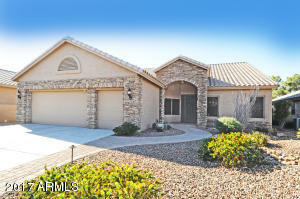 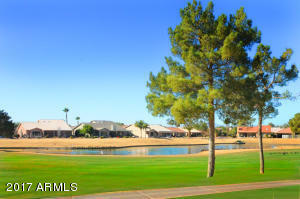 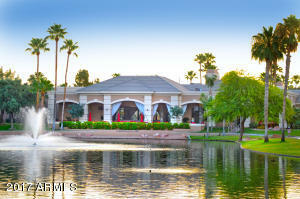 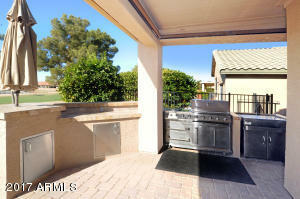 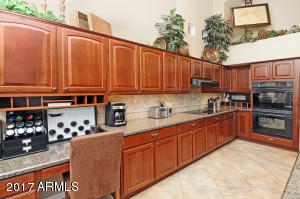 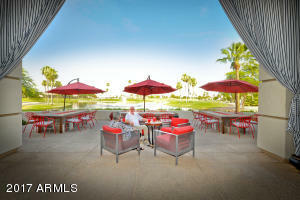 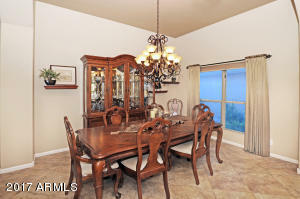 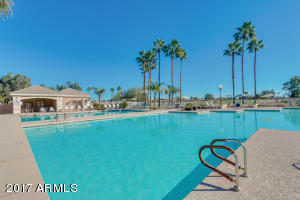 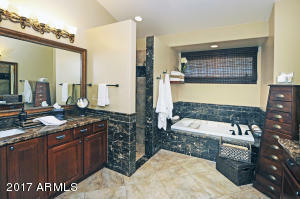 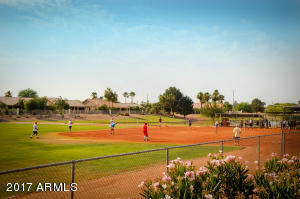 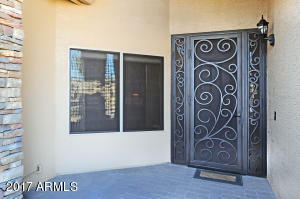 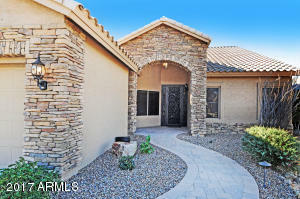 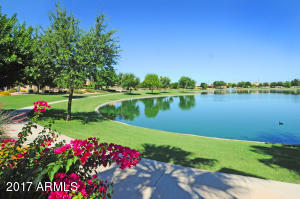 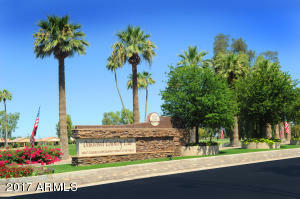 STUNNING two bedroom, two bath fully updated home w/study on the 5th green of the Lakes golf course w/waterfront views! 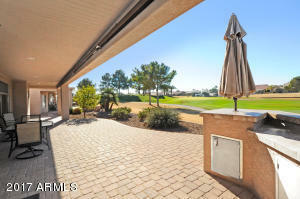 This Bellagio model is unique with arched entry, stone trim and pavers that usher you to the custom First Impressions entry door. 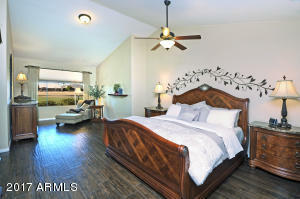 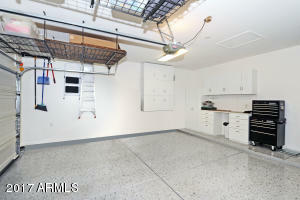 Large diagonal tile flooring with wood-look tile in bedrooms. 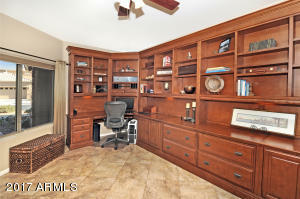 Spacious study with custom Stone Creek furniture. 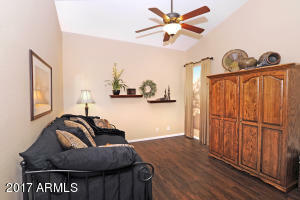 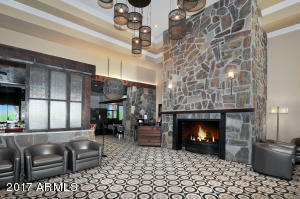 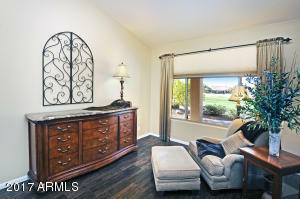 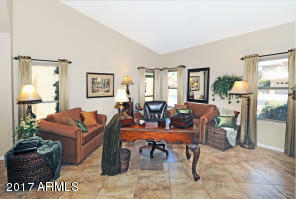 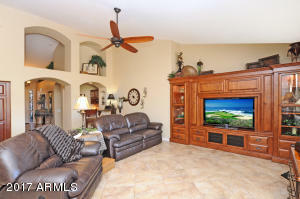 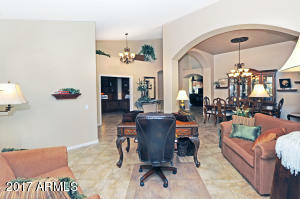 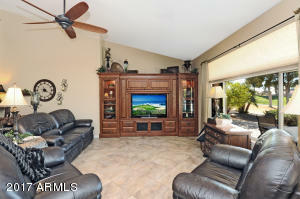 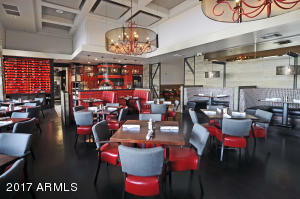 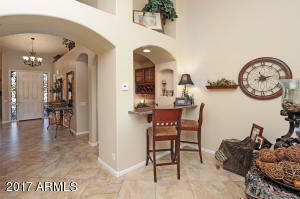 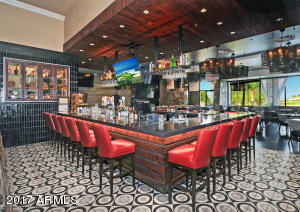 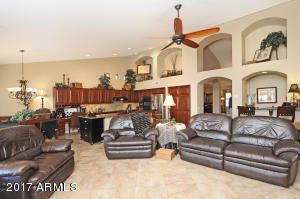 Family room w/views & Stone Creek entertainment center. 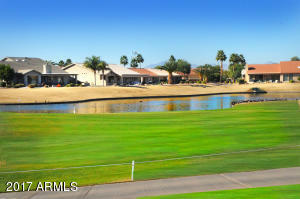 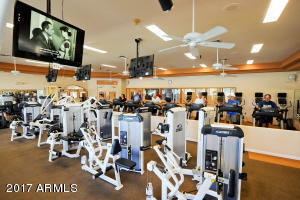 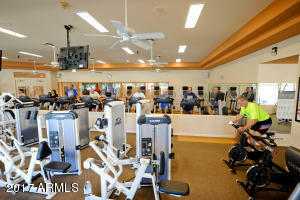 Large picture windows offer views to the course and lake. 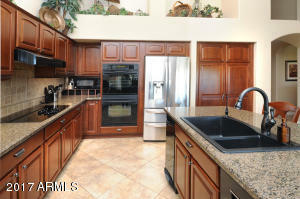 The kitchen is an entertainers dream with the long island, granite counters, tile backsplash, cherrywood cabinets & pull out shelves, newer dishwasher, double oven & trash compactor and separate wet bar.Baths are fully remodeled w/marble & tile. 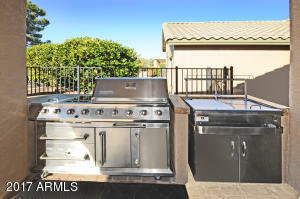 Built in BBQ area! 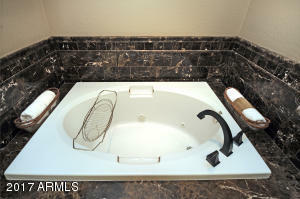 See docs tab for all upgrades. 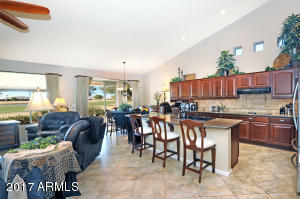 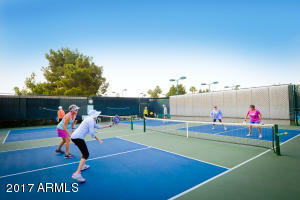 Don’t miss out on this one!